Closeouts. 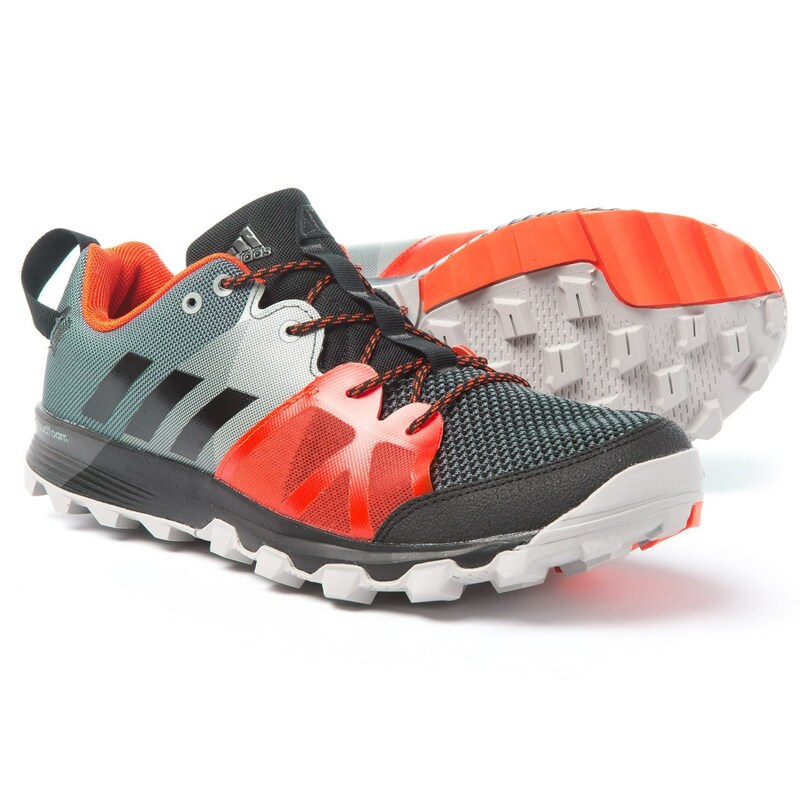 A swift, lightweight and well-cushioned shoe for the trail, this adidas outdoor Kandia 8.1 trail running shoe boasts an OrthoLite® Cloudfoam® insole and midsole to absorb shock every time your foot strikes the ground. The TRAXION® rubber outsole features multi-directional lugs to keep you stuck to the ground.